This is one of my favorite photos, myself with CEO Dave Roberson of Hitachi Data Systems and Kris Tate, CTO and Founder of Zooomr.com. 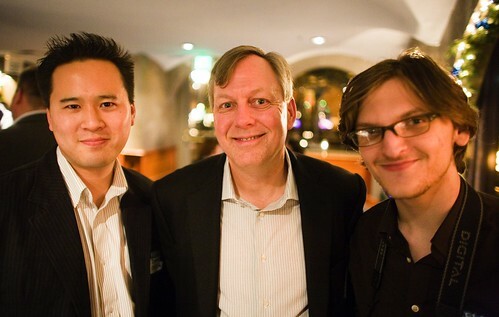 I love the warmth of this photo, and being with two amazing Silicon Valley leaders. This was at Dave’s get together Wed night, he told us his kids use Zooomr! Kris is one of the most brilliant and industrious minds around.